Faith communities gather similarly committed individuals who share values as well as offer support in both happy and challenging times. Religion is central to Theresa Di Girolamo’s life. The East Rockaway resident, who attended Roman Catholic schools through 12th grade, regularly goes to church, helps out with its annual Christmas pageant and volunteers as a teacher in its weekly religious education program. And she starts each morning reading Scripture. “I don’t know where I’d be without religion,” said Di Girolamo, 62, who is married, has two grown children and works in a physician’s office as a medical assistant. Her faith, she noted, gave her the strength to get through the deaths of her parents and sister — all within 10 days of one another — two years ago and her own hospitalization just a few months before. While religiosity appears to crescendo in the general public during major holidays, many Long Island seniors embrace their religion’s practices year-round, not only observing its traditions in their homes but attending services in a house of worship. For these older adults, religious beliefs and actions give them an inner tranquility and hopefulness and heighten their spiritual connection to a Divine being. And by affiliating with a specific house of worship, seniors said that they experience a community of similarly committed individuals who share their values, as well as support them emotionally in both happy and challenging times. What’s more, the charitable outreach, educational and social programs that religious institutions run, including Bible study classes and book clubs, keep them engaged with a sense of purposefulness. Citing loneliness as a public health crisis, Paul Irving, chairman of the Milken Institute for the Future of Aging, in Santa Monica, California, said the events that houses of worship organize, as well as the friendships that form from them, can serve as antidotes to the social isolation that often afflicts older people living alone. In many ways, the spirituality that imbues the lives of Long Island’s older adults mirrors a nationwide trend. According to the Pew Research Center’s 2014 Religious Landscape Study, which focused on the beliefs and behaviors of five generations — the Silent, born between 1928 and 1945, Baby Boomers (1946-1964), Generation X (1965-1980), Older Millennials (1981-1989) and Younger Millennials (1990-1996), each cohort has been more religious than the one that follows it. While 67 percent of Silent, 61 percent of Boomers and 56 percent of Generation X pray daily, less than half of the Older and Younger Millennials do so. Overall, religion is very important to 67 percent of the Silent, 59 percent of Boomers and 53 percent of Generation X, but only to 44 percent of Older Millennials and 38 percent of Younger Millennials. Barry Kosmin, research professor and director of the Institute for the Study of Secularism in Society and Culture at Trinity College in Hartford, Connecticut, attributes older individuals’ “religious behaviors and affiliations” to the likelihood that they have more time on their hands than, say, “a 30-year-old who takes kids to soccer practice” on the weekend instead of attending services. What’s more, for many older adults, going to church or synagogue is a ritual rooted in their childhood. “Old habits die hard,” said Kosmin, who also serves as the principal investigator of the university’s American Religious Identification Survey Series, which tracks changes in the religious allegiances of the country’s adults. At New Jerusalem Baptist Church in Brentwood, the Rev. Adrian DeShon Reid noted that services attract a mixed, yet mostly older, crowd, reasoning that “religion has been the bedrock of their lives and helped them maneuver through life.” In addition, the church’s familylike atmosphere fills a void in the lives of those who have lost loved ones, he said. 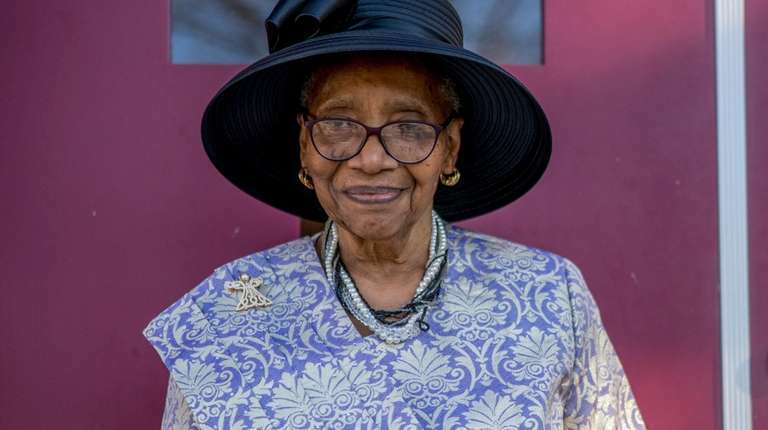 Before moving from North Carolina to New York during her teen years, Brentwood resident Mary Franklin, 83, regularly went to church and sang in the Sunday school choir. So in 1972, Franklin started taking her five children to New Jerusalem but, working on Sundays at the time as a therapist aide in a hospital, she wasn’t able to join them at services until a year later. Franklin’s husband, now deceased, had never joined the church, where she remains a member. 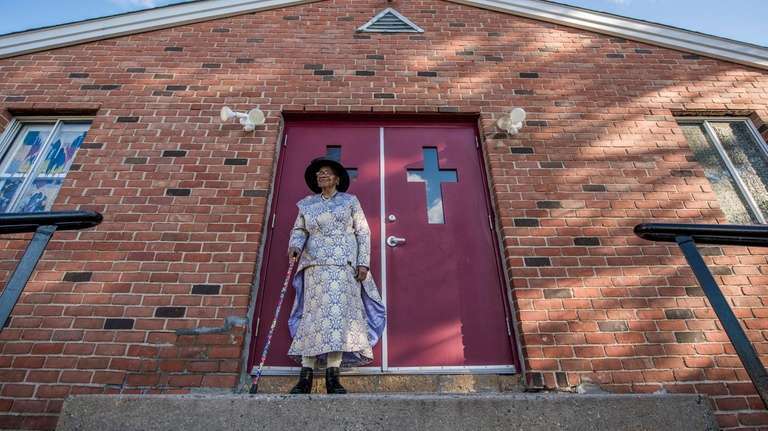 Among her children, only one daughter attends church regularly, bringing Franklin’s granddaughter and two great-granddaughters, ages 2 and 4, to Sunday services. “I’m praying that the others will start going every Sunday,” Franklin said. 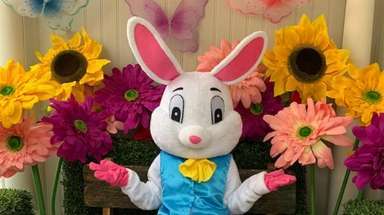 Her belief that a higher authority “is always there for you” was reaffirmed a couple years ago, she said, when medication enabled her to avoid surgery. 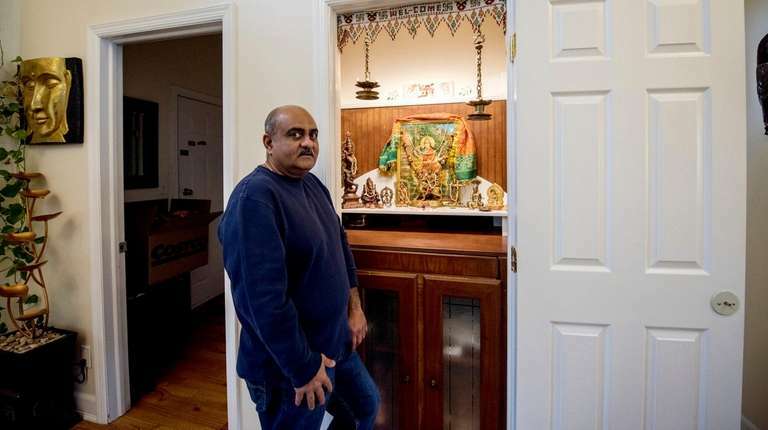 Viewing himself as more spiritual than religious, Tejas Nanavati, 53, feeds his spiritual needs at the small temple he created in his Huntington Station home. Surrounding the sacred space, where his wife also worships, are statues and idols of deities from different Hindu sects, including Jainism. “The prayers give me peace of mind, and for a few minutes, they take me away from the routine and concerns of the day,” said Nanavati, who owns a contracting firm. 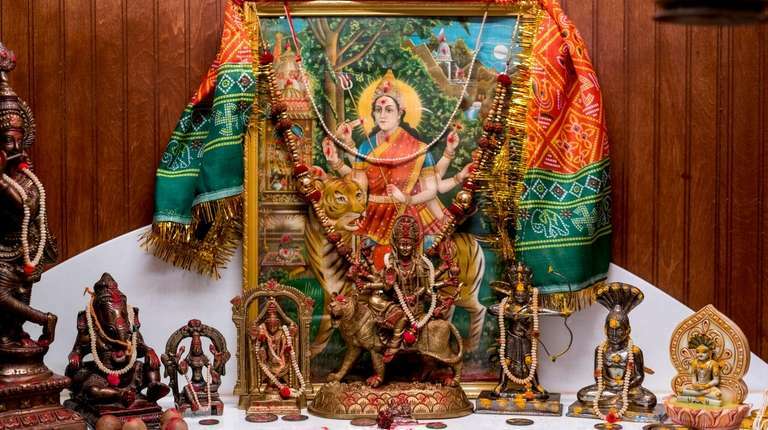 On occasion, a trip over the George Washington Bridge triggers Nanavati’s desire to make a pit stop in New Jersey to pray at a Derasar, a Jain temple. Although Nanavati was born in India and raised as a Jain, his family didn’t adhere strictly to its various laws, including prohibitions against eating meat and root vegetables. “My family was very liberal when it comes to religion — so I wasn’t raised as religious as other people,” said Nanavati. Hailing from the Dominican Republic, Louis Guzman, 60, grew up in a family that was far more culturally than religiously connected to the Jewish religion. 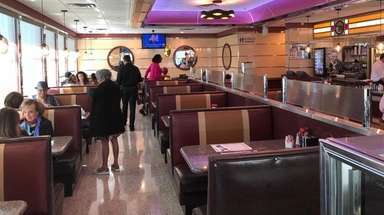 “The Dominican Republic didn’t provide us with the environment for being fully Jewish, and we were also a little bit apprehensive about being Jewish as a minority,” the Massapequa resident said. That uneasiness ended when Guzman was 16 years old and he immigrated to New York. “My father placed a big emphasis that my generation would now be 100 percent Jewish,” said Guzman, an architect and the chief executive of Magnetic Builders Group, a construction management firm in Manhattan. In the late 1980s, while working on the Barcelona Olympics infrastructure and living abroad with his then-wife and their three young children, Guzman became even more involved in his religion. He joined a Conservative synagogue and connected deeply to his Spanish Jewish roots, he said. Guzman has since remarried. He and his wife, Doris, not only have a blended family of five grown children and two grandchildren but share a passion for being Jewish, culturally and spiritually. 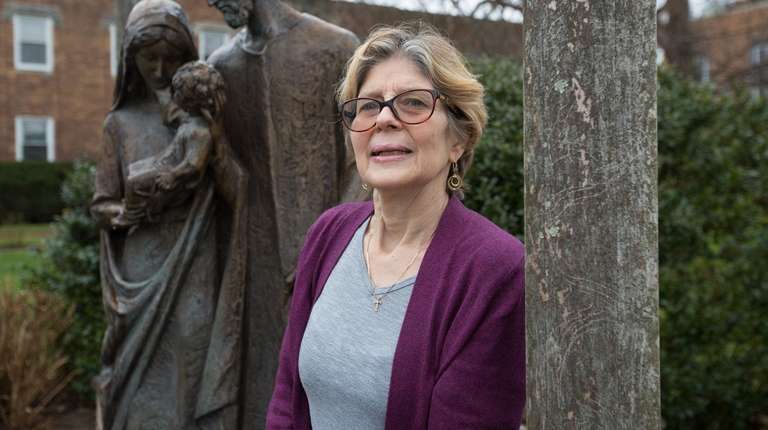 Doris, who was raised Catholic but whose ancestors bore Jewish surnames, has converted to Judaism, and they are members of Temple Sinai, a Reform congregation in Massapequa. 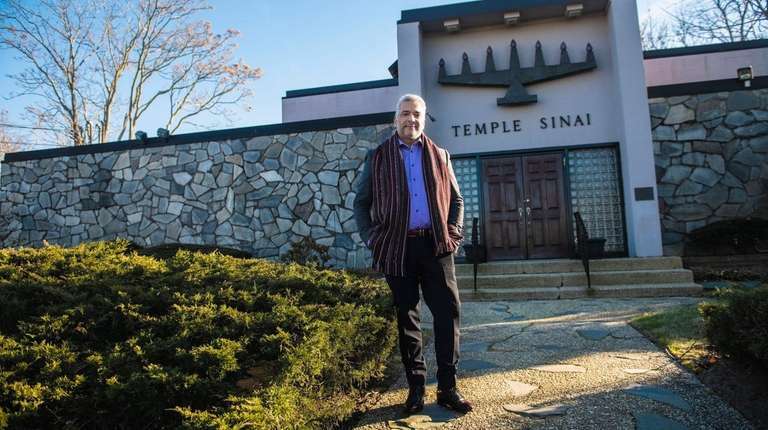 “It’s a place to worship, spend time together as Jews, participate in tikkun olam [repairing the world], feel consoled and rejoice,” said Guzman, who each year organizes the synagogue’s golf outing fundraiser. 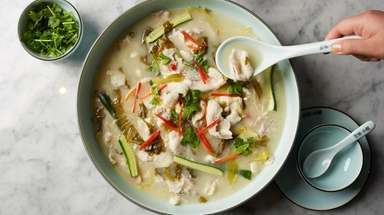 In addition, after their first trip to Israel together about a decade ago, Guzman and his wife decided to make their home kosher — with separate dishes for meat and dairy and no nonkosher foods served. Regardless of the faith, a house of worship can make a pivotal, positive difference in the lives of seniors, according to experts in aging issues, members of the clergy and older adults on Long Island. • A sense of inner peace and hopefulness through prayer.